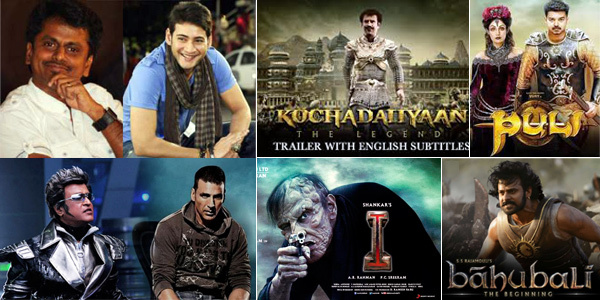 Top 5 most expensive South Indian films ever made! South Indian film industry is abuzz with the news of South Superstar Mahesh Babu aka Prince joining hands with South Indian cinema’s most distinguished filmmaker director AR Murugadoss and making Telegu Cinema’s most expensive film! The untitled film’s budget is expected to be between Rs 85-90 crore. 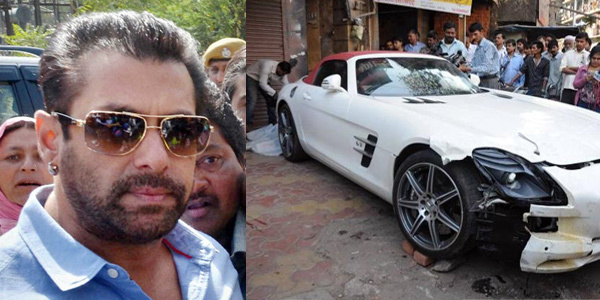 Raaga.Com takes a looks at Top 5 most expensive movie’s made down South! Starring superstar Rajinikanth and Bollywood superstar Akshay Kumar with Amy Jackson this Shanker directed film has crossed the budget of BAAHUBALI: THE BEGINNING and is being made on a whopping budget of Rs 350 crore. It may be noted earlier 'Enthiran' was made at a budget of Rs 132 crore. South Superstar Vijay and Bollywood Ex Flame Sridevi starrer Tamil movie PULI, was another adventure costume drama on lines of BAAHUBALI: THE BEGINNING. Directed by Chimbu Deven the movie had Hansika Motwane and Shruti Haasan the movie’s trailer took everybody by storm but the film failed to appeal. 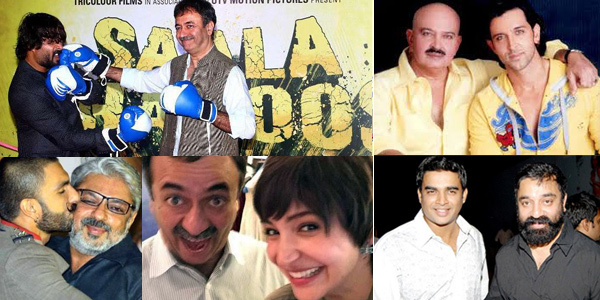 Made on budget of Rs 118 Crore the film also put the producers and its lead actors in IT soup! Directed by Rajinikanth's younger daughter Soundarya, KOCHADAIIYAAN was made in 3-D staring Rajinikanth and Deepika Padukone. Produced at a whopping cost of Rs 125 crore, this innovative Motion Capture Computer Animated adventure film failed miserably at the box office, despite music by Oscar winning AR Rahman and background narration by Amitabh Bachchan in the Hindi version. South Superstar Vikram and Amy Jackson starrer I directed by Shanker was indeed an exceptional romantic thriller made in Tamil. V. Srinivas Mohan’s excellent visual effects took the audience by their seats and the movie proved a big hit! Thus the South Indian film industry is no less than Bollywood and has proved its competence time and again! If Akshay Kumar’s AIRLIFT has irked Ministry of External Affairs, it has succeeded in serving its purpose! Akshay Kumar’s recent film AIRLIFT has not only set the box office register ringing by becoming biggest grosser of one week (Rs 83.50 crore) but has also succeeded in awakening the Ministry of External Affairs, who failed to perform their duties seriously during the 1990 evacuation of Indian, who were trapped in Kuwait during the Iraq invasion of Kuwait. The movie not only salutes the brave Indian who stood by the side of one another in the time of crises on humanitarian ground, in the world’s largest evacuation, but also on the other hand takes a dig at lethargic attitude of the officials at the Ministry of External Affairs of India and the delayed help they provided to evacuate Indian citizens from Kuwait. 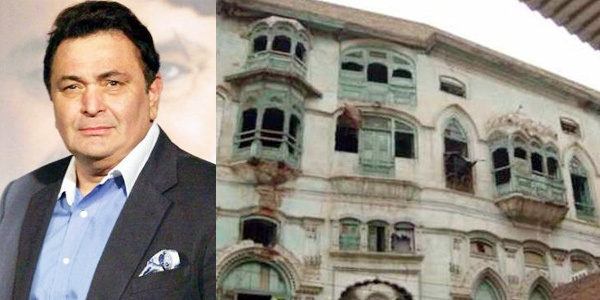 According to reports the movie has created ripples in the Ministry of External Affairs, who are fuming about their negative portrayal in the film during the crisis. Ms Nirupama Rao, former ambassador of India to the United States of America, has blasted the filmmaker Raja Menon and alleged for not doing a thorough research before making the film. “Our diplomats are by and large extremely dedicated and conscientious. I can give several example of competent India's Ambassador to Baghdad like Kamal Bakshi, foreign minister IK Gujral and India's Ambassador to Kuwait in 1990-91. They all had worked to ensure safety of suffering Indians in Kuwait.” She added. It feels good that Indian Cinema is going great guns and is moving far ahead from its ‘mission entertainment’ to ‘mission awareness’. 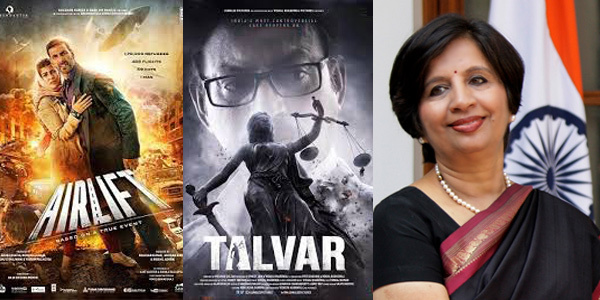 Recently Meghna Gulzar’s TALVAR stirred a debate in the society about the authenticity of the 14-year-old Aarushi Talwar Murder case and now Raja Menon’s AIRLIFT has raised questions about the efficiency of the Ministry of External Affairs. Thus it’s great that if films like AIRLIFT or TALVAR can start a debate in society than the filmmaker can heave a sigh of relief as he/she has succeeded in serving his purpose! Aamir Khan announces sequel of 3 IDIOTS! 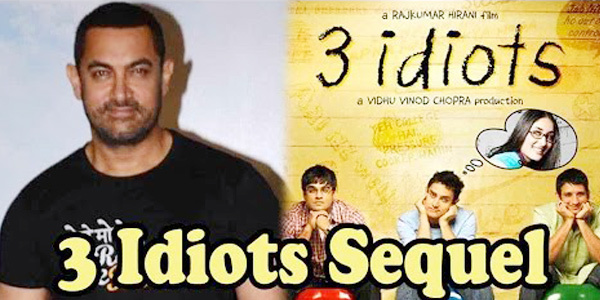 Aamir Khan’s fans and movie buffs who have appreciated Aamir Khan and Rajkumar Hirani directed film 3 IDIOTS (2009) have reasons to cheer as Mr. Perfectionist aka Aamir Khan has announced the sequel of 3 IDIOTS!!! “Though till now we are in the initial stages of writing I cannot reveal much about the sequel, but I can promise that film buffs can anticipate a sequel to 3 IDIOTS!” he quipped. Truly, if there is any sequel of any movie that is most awaited by film buffs is that of Aamir Khan’s film 3 IDIOTS! One hope the filmmakers come up with the sequel soon!!! to shadab ho bhi sakti thi…..
More than the title track Kabhi kabhi mere dil main khayal aata hain …sung by Lata Mangeshkar and Mukesh, I think it is the above mentioned poignant poem narrated so touching by Mr. Amitabh Bachchan that has become a hot favorite among the audience. Frequently Mr. Bachchan is seen fulfilling the demand of his fans to recite the poem and he does oblige with the same panache. 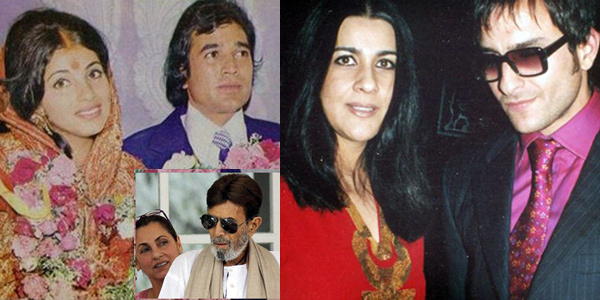 What further mesmerized Bachchan was that when he was shooting for KABHIE KABHIE, simultaneously, he was also shooting for DEEWAAR and both the films were being directed by movie mogul Yash Chopra. 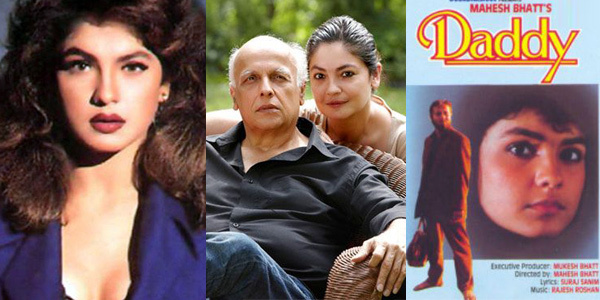 It may be remembered that both the films KABHIE KABHIE and DEEWAAR were of two separate genres. While KABHIE KABHIE was a tender and poignant love story, DEEWAAR was an action thriller depicting the angry young image of Amitabh Bachchan, yet in both the films Amitabh Bachchan and Yash Chopra excelled at their best! Truly magnificent! That’s the reason Mr. Bachchan Indian Cinema can never get another Amitabh Bachchan, neither a film wizard as competent as Yash Chopra! This song justifies to define ‘King of Rhythm’ O.P.Nayyar because certainly he was a music composer with a difference and truly the world of Indian music has not seen a music director like O.P.Nayar because he was the only one music director who dared to compose songs without the service of either Lata Mangeshkar or Mohd Rafi! Yet such was his mastery in composing melodious songs that within a short span he shot to stardom like a phoenix in the Hindi Film Industry giving a run for money to successful music directors like Naushad, Shanker Jaikishen, S.D. Burman etc. While the other music directors banked on the Melody Queen Lata Mangeshkar, O.P.Nayyar, never ever took the service of Lata Mangeshkar instead he gave hits after hits with Asha Bhosle, Lata’s younger sister. Thus making a point that good music is not depended on the any particular voice. Unlike Lata Mangeshkar, O.P.Nayyar shared a very good rapport with Mohd Rafi and even admitted that his music was nothing without the voice of Rafi. The duo have a chain of hits and a look at O.P.Nayyar’s career reveal that Mohd Rafi’s voice has been a saving grace of O.P’s music. 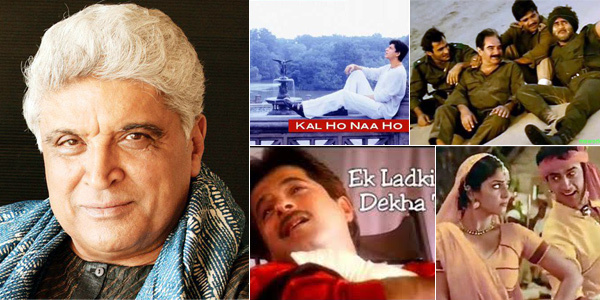 Just take a look at some of the hit songs Taarif Karoon Kya Uski ….. Dil ki aawaz bhi sun mere fasaane pe na ja ….Aapke haseen rukh pe aaj naya noor hai…. However readers would be surprised to know that in the early 60’s there was a short tiff between O.P.Nayyar and Mohd Rafi too! “If I can give hits without Lata Mangeshkar, I can also give hit songs without Mohd Rafi!” roared the stubborn O.P.Nayar and believe it or not O.P. lived up to his words and replacing Rafi with Mahendra Kapoor he proved his point! 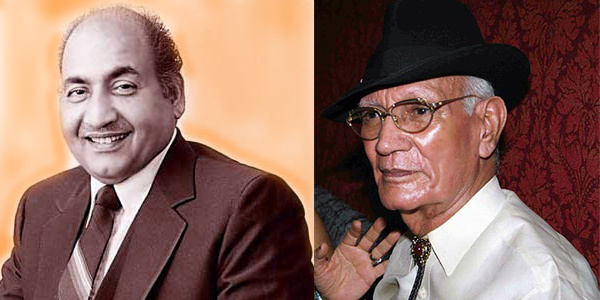 Remember the hits songs of O.P.Nayyar and Mahendra Kapoor…. Mera pyar wo hai ke markar bhi tumko…. ; Tumhara chahnewala khuda ki duniya mein....; . Laakhon hain yahaan dilwaale…. ; Badal jaaye agar maali…..
On the death anniversary of O.P.Nayar that falls on January 28; Raaga.Com remembers the legend!!! Is astrologer’s predication of 2016 for Rajinikanth True? Will KABALI break the jinx? With Thalaivar Rajinikanth being bestowed with the prestigious Padma Vibhushan Award, second highest civilian award in the country, it seems the astrologer’s predication for the actor in 2016 is perfect. If readers could recollect Raaga.com, IndiaGlitz had carried a story - What the future holds for film stars in 2016, in our New Year issue dated January 2, 2016. In the story we had mentioned that according to astrologers the year 2016 is going to be a great year for Rajinikanth. What’s amazing is that the astrologers had even mentioned that Rajinikanth would also fetch an important award! The award part of the prediction, initially looked uncertainty because none of Rajinikanth’s movie had done great business to boost him of an award but with the ‘unexpected’ Padma Vibhushan Award the prediction now looks ideal. 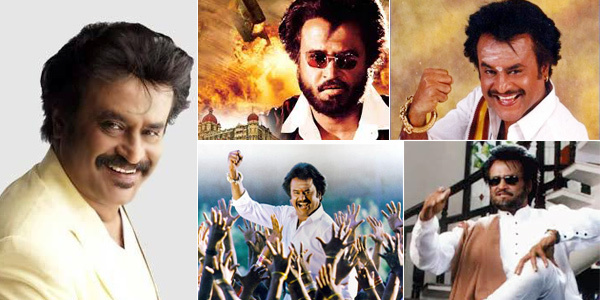 According to the astrologers Rajinkanth who has been going through a lean phase in his career due to his past failures KOCHADAIIYAAN and LINGAA; the year 2016 is set to change the wind as the influence of sub period of Jupiter and exalted Mars which is Yogakaraka in his Chart, is bound shower success for Rajinikanth at the box office. Once again the predications look authentic because according to KABALI producer Kalaipuli S. Thanu the film is already a success as it has been sold in USA for a gigantic record price! One hopes the year 2016 continues to shower success on Rajinikanth and KABALI break the jinx when it releases in the Tamil New Year on April 2016!! Marveling at the mega success of S.S. Rajamouli’s BAAHUBALI, brilliant filmmaker Ramesh Sippy at the recent IIFA-FICCI Media and Entertainment Business Conclave said that if South Indian cinema and Bollywood come together the two can bring a great revolution in filmmaking. Incidentally sharing a similar view with Ramesh Sippy, Oscar award winning sound designer Resul Pookutty at the first edition of IIFA Utsavam too confided that South Indian cinema is doing a great work and 45 percent of the total revenue of Indian cinema is generated from the southern filmdom. In fact if we look back during the 50’s and the 60’s it was the South Indian Cinema that ruled the roost. Film production houses like AVM, Prasad Production, Gemini studio, B. Nagi Reddy etc hired Bollywood top stars and remade their hit south films in Bollywood and minted money. 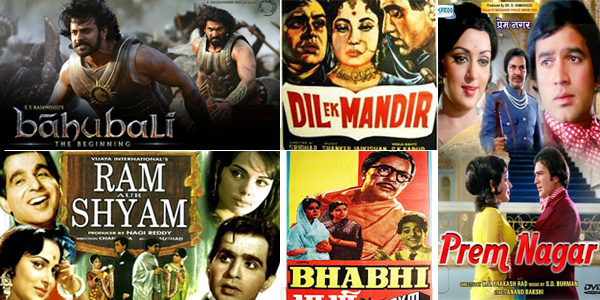 What’s more the South film production companies maintained a kind of discipline that was not visible in Bollywood as a result many Bollywood movies would fail at box office but movies produced by South film companies were generally hit. Top stars like Dilip Kumar, Raj Kapoor, Rajesh Khanna, Amitabh Bachchan, Jetendra, Sunil Dutt etc considered it a privilege to work in South Banners. The popularity of South Banner could be gauged from the fact that cine buffs thronged cinema halls not by the allure of top stars but the stamp of South Banners was enough to pull in audience. People had a trust in ‘Madras’ Movies. Movies like BHABHI, KHANDAAN, RAM AUR SHYAM, CHORI CHORI, PREM NAGAR, DIL EK MANDIR, HATHI MERE SATHI etc. 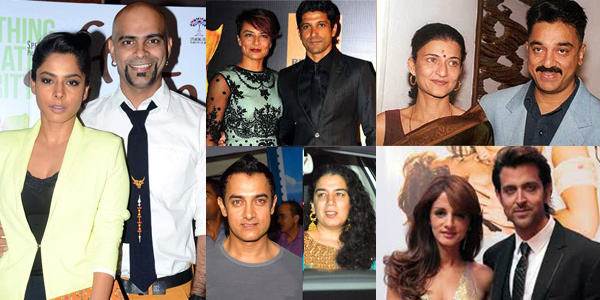 are example of top South Banners ruling Bollywod. Hence it would be great if South Indian Cinema and Bollywood once again come together and reap rich dividends! A trend of this has been initiated by South filmmaker Shanker by casting Rajinikanth (South superstar) and Akshay Kumar (Bollywood superstar) in the upcoming film ENTHIRAN 2. Rajinikanth is above Padma Vibhushan, he deserves Bharat Ratna! 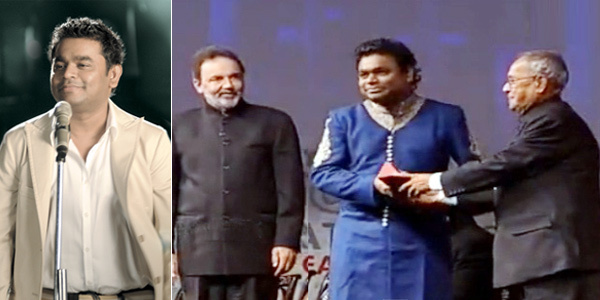 What Lata Mangeshkar is to music and Sachin Tendulkar is to cricket, likewise Rajinikanth is to Indian Cinema, particularly South Indian Cinema. Rajinikath’s mass popularity is such maniac that he is literally worshipped as a Demi God down South. Yet it is tragic while Lata Mangeshkar and Sachin Tendulkar have been bestowed by Bharat Ratna Award, Rajinikanth has been awarded Padma Vibhushan, when the truth is he should be decorated with Bharat Ratna! Nevertheless down to earth, humble and simple Rajinikanth has no complaints. When the government officials called Rajinikanth’s residence at Poes Garden, Chennai, to convey about the Padma Vibhushan award, the ‘Thalaivar’ was not at home. 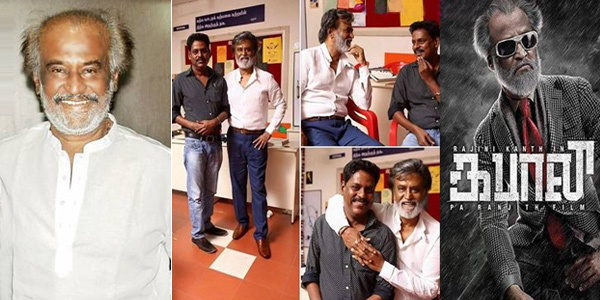 He was busy shooting for his upcoming film KABALI and the call was received by his daughter Aishwarya Dhanush. “Ever since the news came out, we have been getting so many calls... He is not at home right now and is busy shooting in the city. So, we are all busy attending all the calls on his behalf," she laughed. 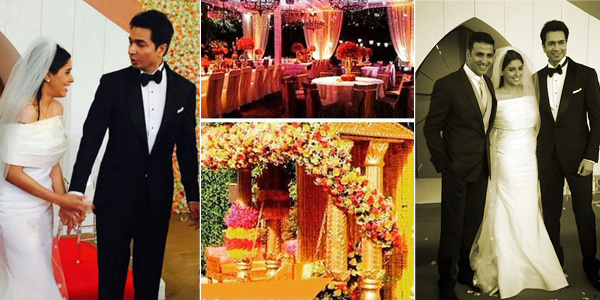 His younger daughter, Soundarya also tweeted, "Proud daughter!!!!! Appa is now Padma Vibhushan shri Rajinikanth." Though Rajinikath and his family has expressed delight and made no resentment but Rajinikanth fans feel the pinch. Looking at the enormous contribution of Rajinikanth to South Indian Cinema, bringing it out from the shamble of regional cinema and taking it to international heights, both in terms of quality and commercial success, the Padma Vibhushan award looks pigmy and the only award that does justify to ‘Thalaivar’s gigantic contribution is none but India’s ultimate award –The Bharat Ratna! 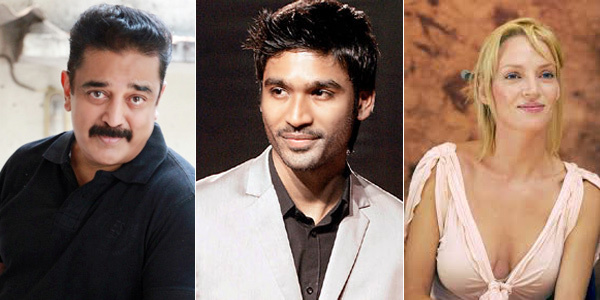 After Kamal Haasan, South sensation Dhanush set for Hollywood debut? 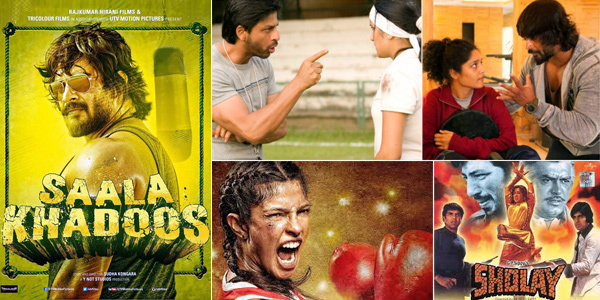 Indian films may be ignored at the Oscar Awards but Indian actors are revered by the west. Many Indian actors have been approached in the past for Hollywood films like Dilip Kumar, Amitabh Bachchan, Aamir Khan, Shah Rukh Khan, Salman Khan etc from Bollywood and down South both legends Rajinikanth and Kamal Hassan but most of our actors have declined these offers due to either puny character or not the lead role. Recently rumor mills are abuzz that National Film Award-winning Indian actor Dhanush has been approached by Iranian filmmaker Marjane Satrapi for his upcoming film THE EXTRAORDINARY JOURNEY OF THE FAKIR WHO GOT TRAPPED IN AN IKEA CUPBOARD that deals with Indian magician, who is on a secret mission in Paris. Dhanush will be seen playing the lead role opposite KILL BILL star Uma Thurman. The shooting of the film is scheduled to start by mid 2016 and will take place in parts of India, France, Italy and Morocco. 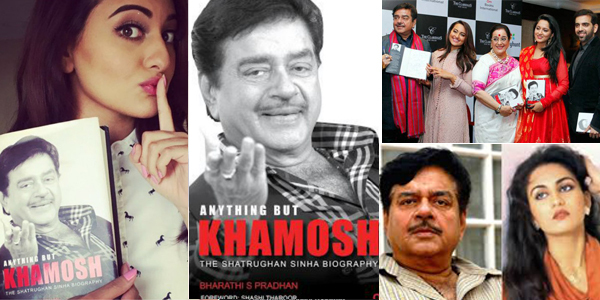 From Bollywood many actors like Aishwarya Rai Bachchan, Om Puri, Sayeed Jaffery, Amrish Puri, Shashi Kapoor, Gulshan Grover, Irrfan Khan, Gaurav Chopra, Deepika Padukone, Priyanka Chopra, Anil Kapoor, Nimrat Kaur, Mallika Sherawat Sonu Sood etc have acted in Hollywood films but from South Indian cinema none of the actors have made their debut in Hollywood. Kamal Haasan was in talks with THE LORD OF THE RINGS producer Barrie Osborne and was planning an Indian story in Hollywood style but things did not materialized. The mantra of box office success is uncertain like Time! With the failure of superstar Amitabh Bachchan’s WAZIR and competent actresses Shabana Azmi and Juhi Chawla starrer CHALK N DUSTER at the box-office one really goes crazy at the choice of cine viewers because both the movies despite satisfying the basic parameters of a hit film viz. good script and salable stars have failed miserably to appeal the audience. According to trade reports Vidhu Vinod Chopra’s WAZIR which boosted a excellent script by top notch writer of Bollywood Abhijat Joshi, known for writing super hit films like MUNNABHAI SERIES, 3 IDIOTS (2009), PK (2014) has been an utter failure at the box-office as it has managed to collect just Rs 36.59 crore in ten days and a mere Rs 17.30 crore worldwide! 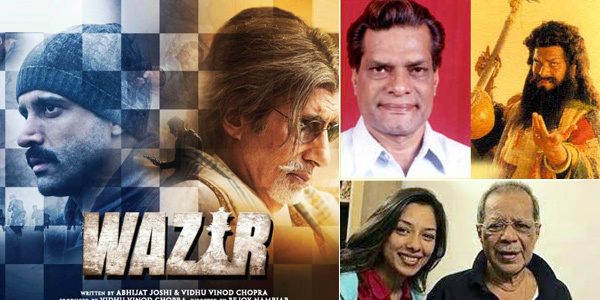 As far as the script of WAZIR is considered it is indeed an out of the box idea and Abhijat Joshi must be congratulated for the same. 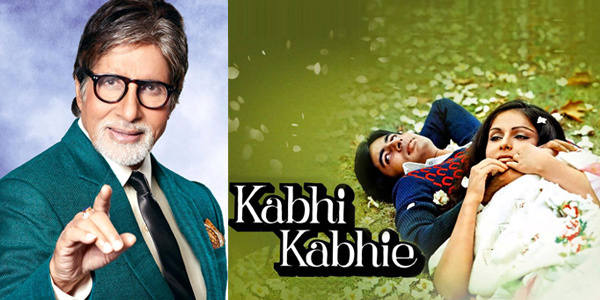 The utterly innovative plot of a handicap and an elderly person cunningly utilizing an ATS officer to avenge the murder of his daughter is truly awesome. And what makes the movie gripping is the director Bejoy Nambiar’s edge of the seat and razor sharp climax that leaves the viewers wonderstruck! Of course both Amitabh Bachchan and Farhan Akhtar play their roles superbly. As a film critic I found the film outstanding and so did the movie receive rave reviews but what is surprising when the movie opened at the box office it was booted out!!! Likewise Shabana Azmi and Juhi Chawla starrer CHALK N DUSTER deals with a powerful subject how the Indian education system is being rotted by modern day educationist who are more interested in turning the school into profit making institution than imparting true knowledge. The movie has won good reviews but once again has failed to live up to the expectation of the audience. It is not that the audience does not appreciate innovations. 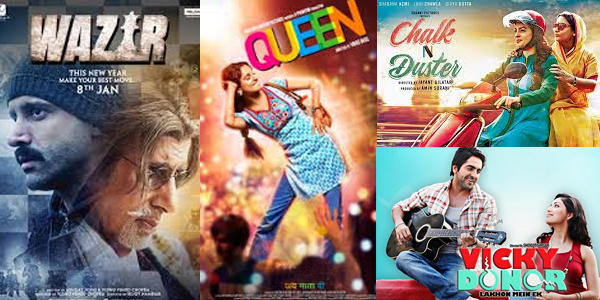 In the past we have seen many movies without star attraction but with impressive scripts doing great box office business remember - TANU WEDS MANU (2011), VICKY DONOR (2012),ABCD: ANYBODY CAN DANCE (2013), QUEEN (2014), DUM LAGA KE HAISHA (2015) etc. Thus it’s really difficult to gauge the mantra of success at box-office which is uncertain like ‘Time’. Eminent poet Sahir Ludhianvi has beautifully described it in the song from the film WAQT…..
Who knows at what moment, time will change its temperament! In terms of Bollywood it can be said filmmakers must be cautious of the taste of cine viewers, who knows at what moment, they will change their temperament!! !